The idea gained immense popularity over the years and in 1910, West Virginia became the first state to recognize Mothers Day holiday. 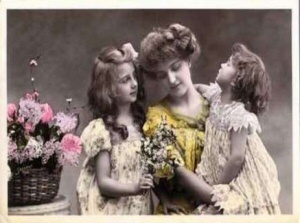 On May 8, 1914 President Woodrow Wilson signed a Joint Resolution designating the second Sunday in May as Mother’s Day. Through much hard work and dedication, Anna Jarvis finally realized her goal of making a day that would honor mothers everywhere. Her goal went further than the United States, as Mother’s Day is now celebrated in other countries too, such as Japan, China, Canada, and Mexico. This entry was posted in Blog, mothers day and tagged mothers day, story of mothers day. Bookmark the permalink.